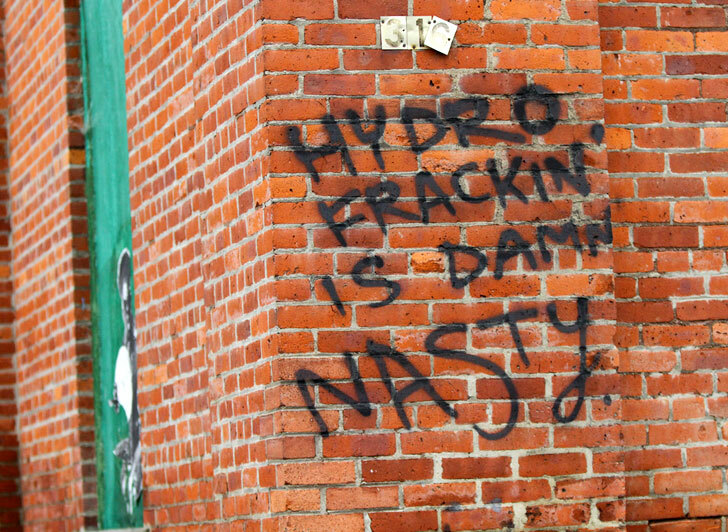 This week the town of Dryden, New York won a court case giving it the right to ban hydrofracking for natural gas within its borders. The case is a major victory for fracking opponents nationwide, and here’s how it all went down: The Marcellus Shale, the largest deposit of shale gas in the United States runs underneath the town of Dryden in upstate New York. Due to the gas jackpot, the Anschutz Exploration Corporation purchased 22,000 acres of drilling rights in the town. Before Anschutz could get to the gold, however, the Dryden Town Board passed a drilling ban. Anschutz then sued the town alleging their actions weren’t legal, but on Tuesday, Justice Phillip R. Rumsey of State Supreme Court said it was completely legal. Now Anschutz is out $5 million that they spent securing now unusable rights in the quaint northeast town. Hydrofracking has been a hot topic of debate recently as natural gas companies clamor to get access at the Marcellus shale while the EPA and other organizations have found reason to believe — in our mind evidence of but we suppose that’s yet to be “proven” — that the process of fracking irreparably pollutes the nearby water table with deadly chemicals. Those who support the idea of town bans have the justified argument that even if Farmer A wants to give the gas company the rights to drill on her land, Farmer B shares Farmer A’s water table. Hence, Farmer B should have a say in Farmer A irreparably polluting their shared drinking water. The Dryden case is sure to spark a wave of lawsuits across the state and country, especially if held up after appeals by Anschutz, it could set precedent on who gets to decide where and when fracking occurs. This week the town of Dryden, New York won a court case giving it the right to ban hydrofracking for natural gas within its borders. The case is a major victory for fracking opponents nationwide, and here's how it all went down: The Marcellus Shale, the largest deposit of shale gas in the United States runs underneath the town of Dryden in upstate New York. Due to the gas jackpot, the Anschutz Exploration Corporation purchased 22,000 acres of drilling rights in the town. Before Anschutz could get to the gold, however, the Dryden Town Board passed a drilling ban. Anschutz then sued the town alleging their actions weren't legal, but on Tuesday, Justice Phillip R. Rumsey of State Supreme Court said it was completely legal. Now Anschutz is out $5 million that they spent securing now unusable rights in the quaint northeast town.